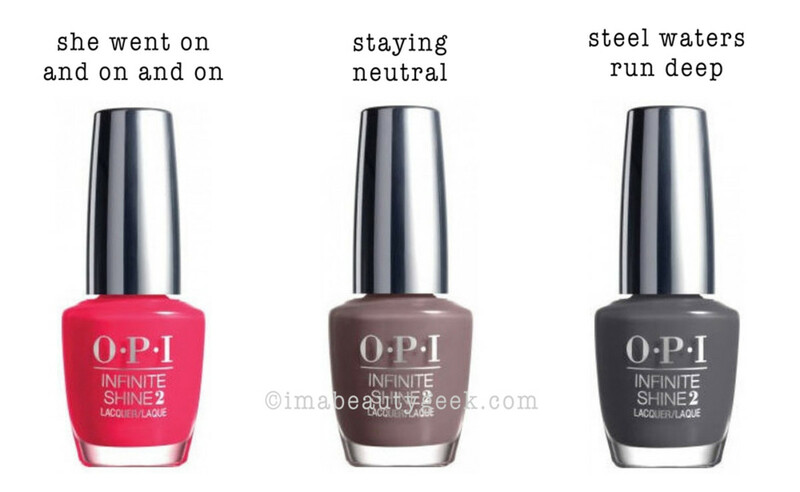 *Update November 15, 2014: our opi infinite shine review is up - come on over! 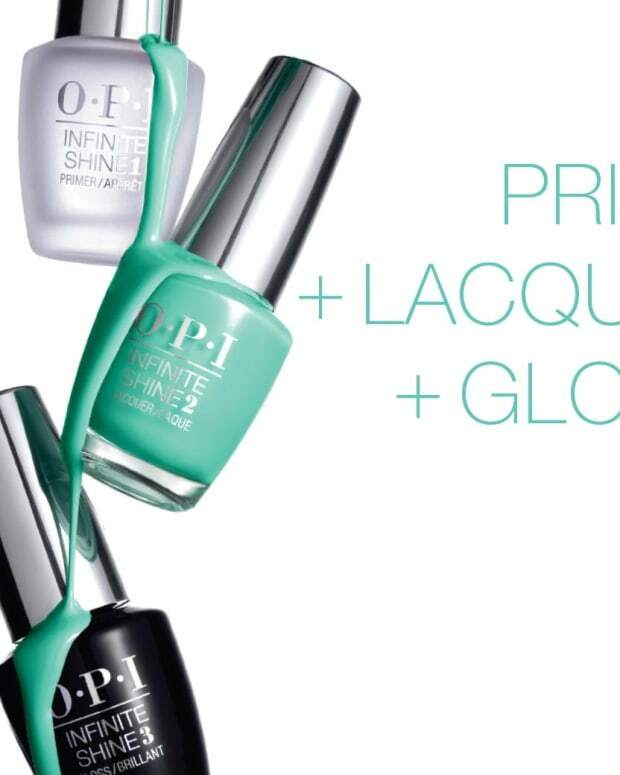 OPI Infinite Shine is coming – that much we know. 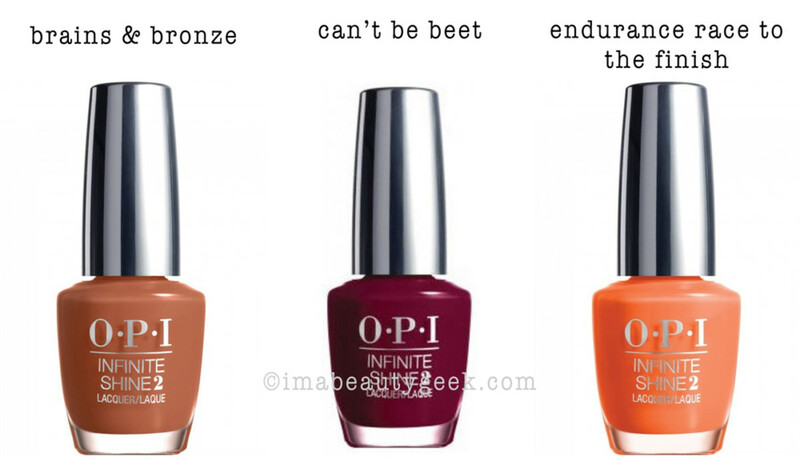 There’s lots of buzz all over the interwebs. 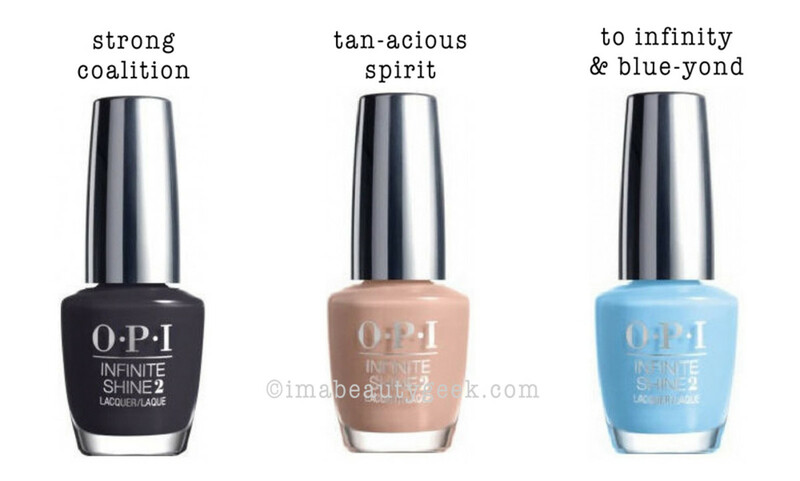 But other than a possible November 3rd launch, we’ve go no official word from OPI (probably because we’re not salon-pro types). So we went on a hunt for things to show you while you rub your hands together in anticipation (and ready your wallet for emptying). 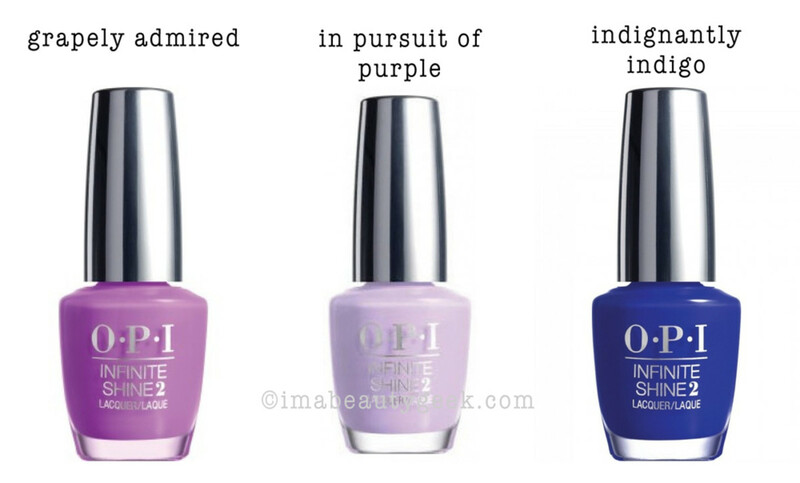 Okay, so from what I understand about this new OPI Infinite Shine, we’re talking about a three-step process that starts with a base, then colour, then top coat (or primer, lacquer, gloss). 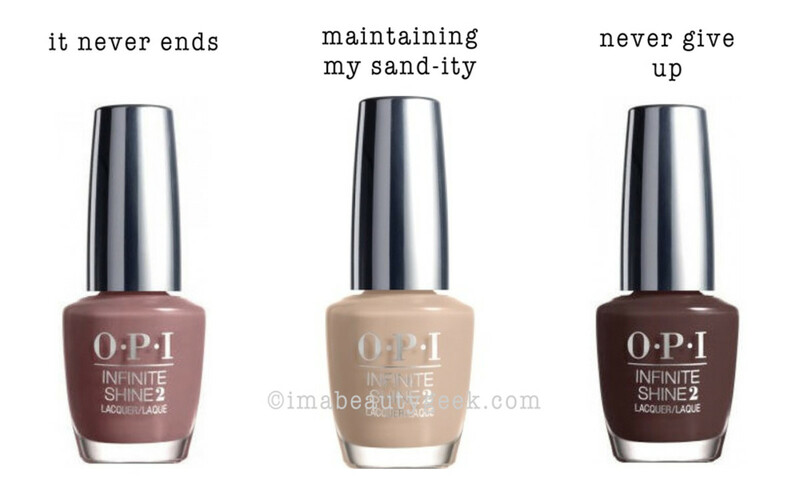 It’s supposed to be a high-shine, long-lasting kinda deal. 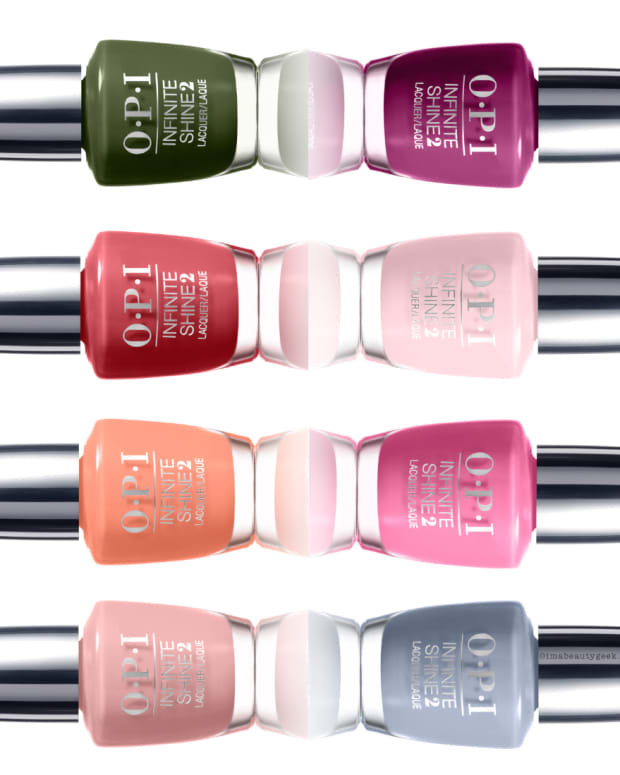 It’s supposed to create long wear without the need for LED lightbox curing or removal by soak-off. 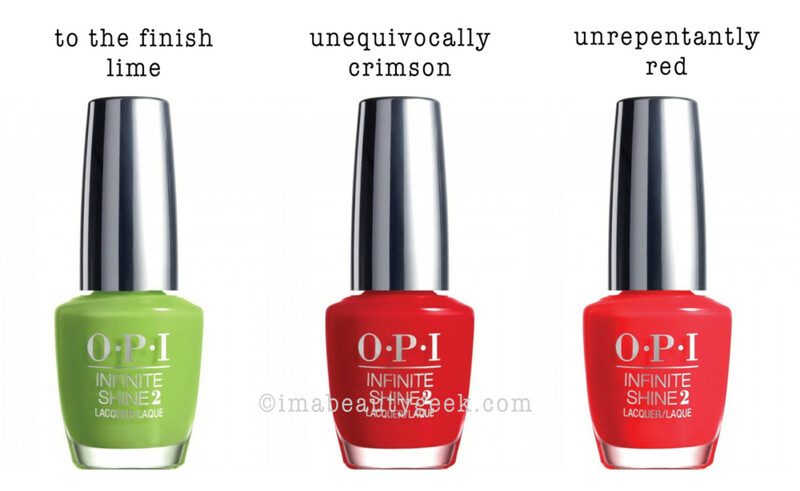 So basically, we’re looking at OPI’s answer to CND Vinylux or Sally Hansen Miracle Gel or Revlon Gel Envy. Hopefully. 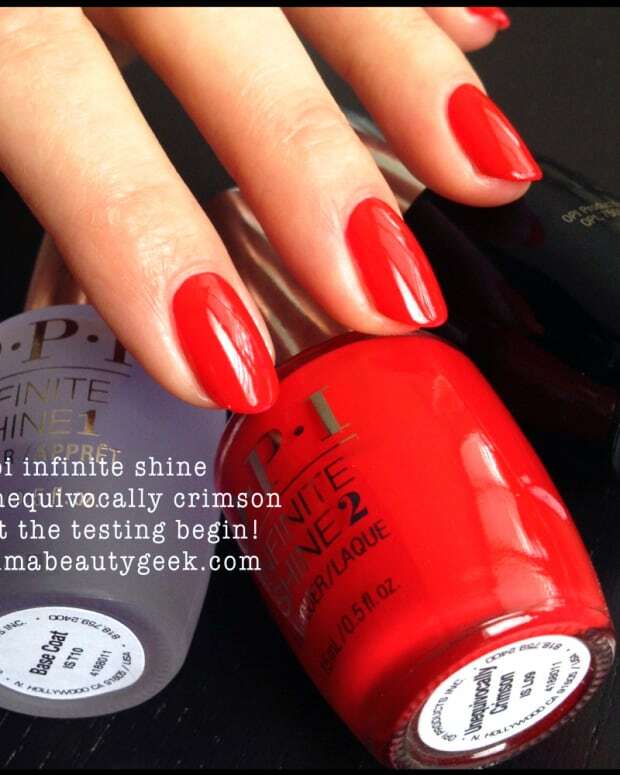 I got some Infinite Shine bottle shots for you and that’s all I got. I can’t promise I got the names right but I did try! Anyone else as excited as I am for November 3rd to roll around? 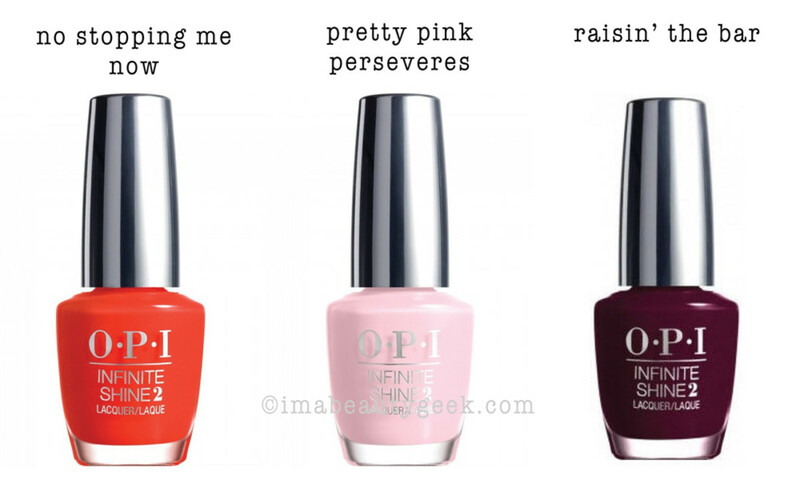 I loves me some OPI and if they can make me something that wears longer than regular polish and doesn’t need to soak-off, I’ll take it! 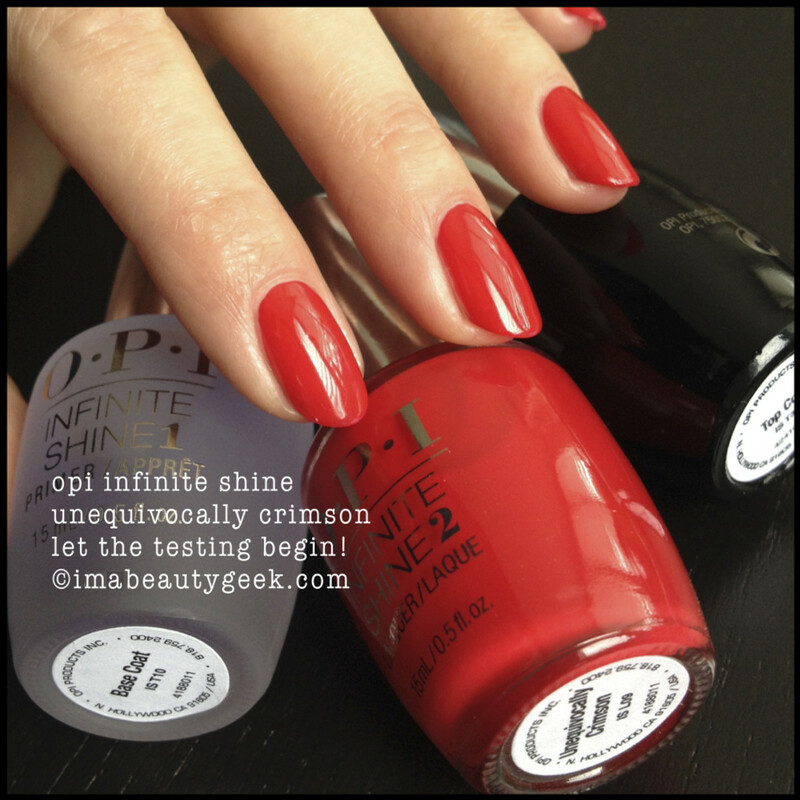 above: opi infinite shine unequivocally crimson. Oooh! Lookit what&apos;s happening at my desk today! 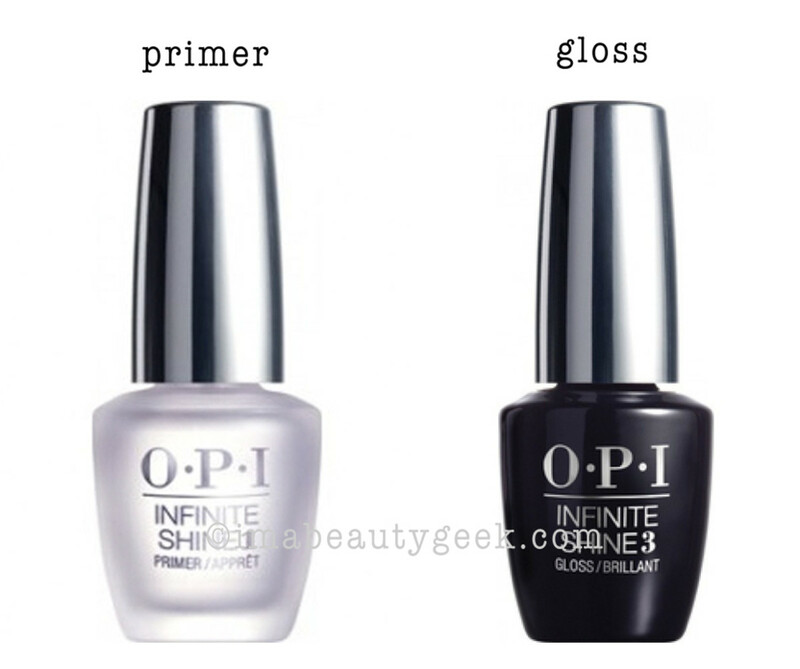 No word on Infinite Shine pricing yet but I figure it’ll come in around $13USD per shade. Dunno where it’s gonna be sold, either. Yeah, I’m a veritable fountain of information, I know. 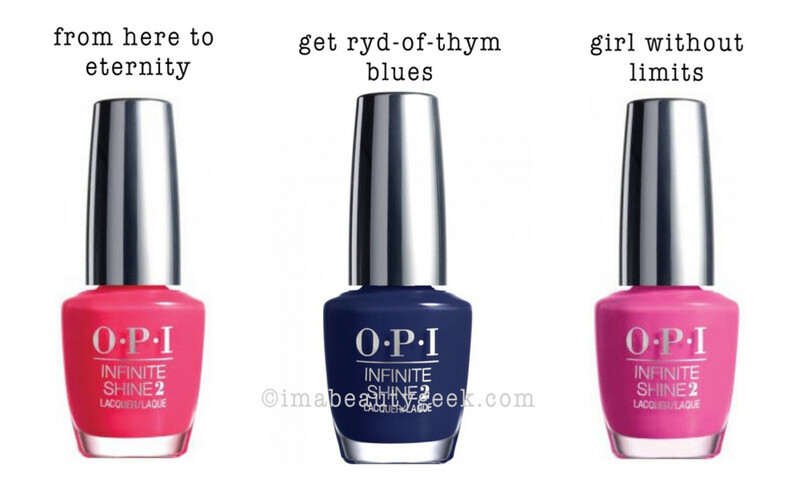 I’ll betcha OPI.com has info! 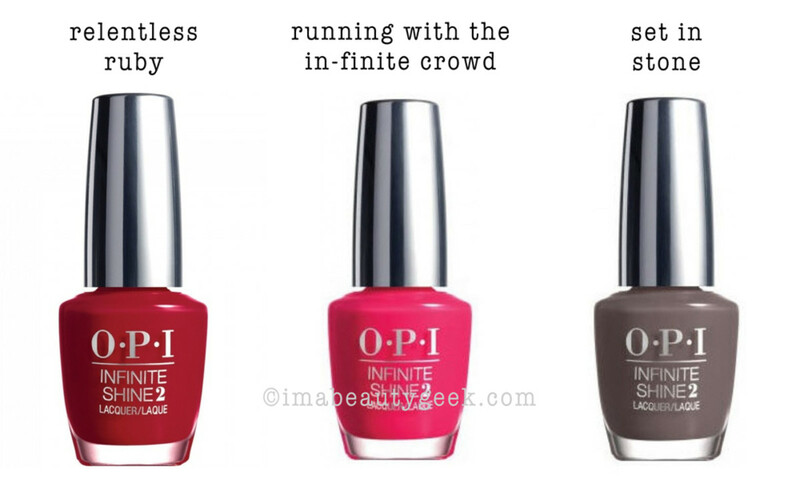 If you need something to pass the time while you wait for OPI Infinite Shine, there’s always the fabulous OPI Gwen Stefani Holiday 2014 Collection, rolling out in stores like Ulta.com right now.